I grew up going to two church services on a Sunday. One was for the church people. One was supposedly for the unchurched people. This second service always included a sermon that was a basic gospel presentation. Whether or not there actually were unchurched folk there is not the point. 6:30pm was the time for a gospel presentation. But can we make, or indeed, should we make, such a strong distinction? I am not convinced. 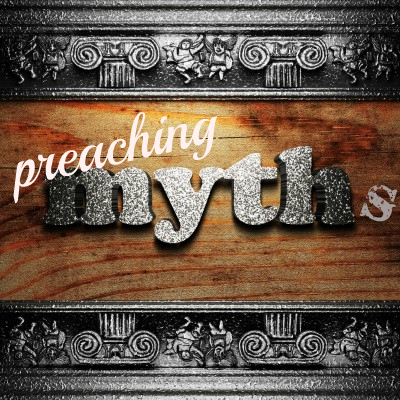 The reason is because I have heard enough preaching that is supposed to be “teaching” to realize that believers need gospel preaching more than something entirely different. Too many have dumbed down the gospel to a transactional deal struck between God and the sinner at the point of conversion, which then recedes into the background as the new believer now learns to implement their responsibility with good moral teaching from the Bible. Learn this lesson. Apply this truth. Heed this warning. Follow this example. But gospel-less instruction can really start to sound like something other than Christianity. Paul warned the Galatians when they started to think there was something more for them than an ongoing application of the gospel. 1. Preach the gospel to whoever is present, whatever stage of faith they may be at. The lost need it, and so do we. But preach the full, clear gospel, not a paper thin pale reflection of the real deal. 2. Since the gospel is at the core of instruction for believers, this means that every week can be both teaching for the believers and accessible for visitors. Special guest events can be great, but visitors may return the next Sunday, or they might even just show up on a random Sunday. Make every week seeker-safe. 3. Beware of the false “meat” of heavyweight responsibility preaching, or purely informational educative preaching. It seems more meaty to raise the bar and pressure people to perform better, or to edify their intellect through an educational presentation . . . but our biblical preaching should be driving the gospel deeper into a life, not taking people away from the gospel – that is never progress. Could you provide an example of an over meaty (intellectual) sermon? Not really, but what I am meaning here is that we too easily think the Gospel is just the basic presentation we’ve heard our whole lives. At times that is paper-thin compared to the rich textured reality presented in Scripture of God’s work in Christ to woo us and draw our gaze from our “godlike” significance and abilities to the One who came to bring us into the communion of the Godhead. If we only think the Gospel is “you failed, Jesus paid, pray this prayer” then we can easily start thinking that advanced meaty intellectual theological instruction is better. But if that meat is not meat made of the stuff of the Gospel (i.e. not about our determinations toward righteousness), then it may be meaty, but it may be sub-Gospel and poisonous. It is too easy for all of us to think that biblical content and sophisticated words equals good Christian teaching. Hope that makes sense? I am glad I asked. Thank you for explaining that makes so much more sense and I now agree with you. It’s like teaching things that are ‘christian’ but not biblical. I went to Christian school my whole life and by college had that idea that you speak of- thinking every sermon was trite and water down (it was.) When I went to college to a secular school and started to study theology I was impressed by the people who could speak in complicated theological terms. Then I realized that repeating the ‘christian’ terms that they read in theologians books wasn’t truly processing Biblical ideas. If you truly understand a concept and it comes from the Bible you should be able to rely it in plain words not memorized platitudes. I am one who still prefers the over meaty to the borsch-like sermons, though. But I am no fan of legalism to be sure. At what point do we recognize that Christians are mature enough to move beyond the Gospel basics and move into Christian ethics? I don’t see a whole lot of Gospel in the Epistles, but because the Gospel had already been planted the writers could move on and work on the practicalities of Christian ethics. Thoughts? I am uncomfortable with this distinction. There are two basic approaches to Christian ethics. One assumes that having been made good, then we will do good. The other assumes that we are self-moved and need to do good in order to be good. The latter comes with the hiss of Genesis 3, but often gets preached as people think they are helping people move beyond Gospel basics. I would say we should move beyond Gospel basics to Gospel advanced material, but never shift over to an ethics that elevates the self-moved will, the responsibility of the individual as opposed to their response to Christ, etc. I think the epistles are saturated in Gospel reality, but we can so easily strip out commands via an imperative harvesting procedure and then end up preaching something that is not beyond the Gospel, but is actually sub-Gospel. Vital question to wrestle with. . . thanks Chris!